These breeches are made from special densely knit fabric that is composed of 95% cotton and 5% lycra. This blend is perfect to create the coolness and comfort that only cotton can offer with the memory of lycra. 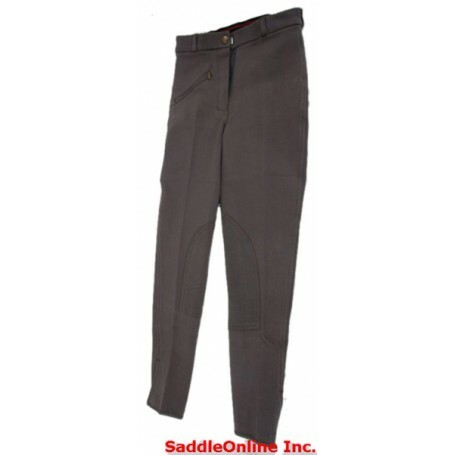 These breeches are made from special densely knit fabric that is composed of 95% cotton and 5% lycra. This blend is perfect to create the coolness and comfort that only cotton can offer with the memory of lycra. The result is a supportive fabric that fits like a second skin without being revealing. The fabric is designed to absorb and pull moisture away from the skin and release it into the air to keep you cool and comfortable while you ride. 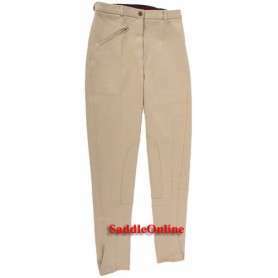 This breech will keep the rider dry while providing maximum durability and comfort.